Plus, a father and son have been found after 40 Years in the Vietnamese jungle. Tuesday ASEAN links. 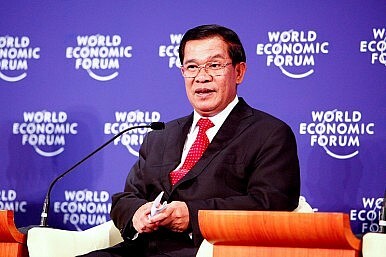 In Cambodia, Hun Sen’s Cambodian People’s Party (CPP) defeated the opposition in a narrow victory. The Cambodia National Rescue Party (CNRP) is refusing to acknowledge the win unless allegations of electoral fraud are addressed. Although CPP won the election, the ruling party received its poorest results in more than ten years. “Hun Sen, 60, who once said he intended to stay in power until he was 90, has since said he only intends to be leader until he is 74,” said the BBC. U.S. and European officials expressed concerns over supposed misconduct at the polls. Meanwhile, in Vietnam an 82-year-old man and his 41-year-old son were found deep in the jungle – 40 years after fleeing from violence in their village during the Vietnam War. When a bomb exploded in his home in 1973, killing his wife and two other children, Ho Van Thanh grabbed his infant son Ho Van Lang and fled to the jungle. The father-son duo survived in the jungle by hunting animals and growing vegetables. Recently two men ventured 40 kilometers into the forest while searching for firewood when they came across the pair’s tree house and discovered the loin-clothed survivors. Closer to civilization in Jakarta, the ASEAN Open Skies Policy is set to be put in place by 2015. The policy seeks to promote increased aircraft connectivity in the region. “Air connectivity is expected to bring down barriers to trade, facilitate changes, ease the flow of labor, and boost leisure travel – things considered essential given the fact that tourism is a major stimulus for growth for several ASEAN members,” reported The Jakarta Post. In anticipation of the Open Skies Policy, Indonesian carrier Garuda plans to expand routes into the Philippines and Brunei (Darussalam). The policy’s main goal is to remove route capacity and price controls, which will in turn promote healthy competition between ASEAN carriers. Additional carrier choices, routes, and pricing will ultimately benefit passengers. While the Open Skies Policy will open transport in region’s skies, India is hoping that a new port in southern Myanmar will increase ASEAN connectivity at sea. It will allow the congested Strait of Malacca to be bypassed, decreasing travel time and thus increasing trade in the region. “The Dawei deep sea port and special economic zone is slated to give a huge boost to connectivity and trade in the Southeast Asian region when it is commissioned in a few years. The $8 billion project is being developed jointly by Myanmar and Thailand,” stated New Indian Express. Over in the Philippines, Typhoon Utor made landfall early on Monday, bringing 150km/h winds and severe rain. At least 13 fishermen have been reported missing and there has been one confirmed death so far. On the economic front, in Singapore export forecasts have been lowered as China’s economic growth slows. Non-oil domestic exports are expected to remain about the same, after a previous growth forecast of two to four percent. Still, Singapore’s GDP grew in the second quarter by an annualized, seasonally adjusted 15.5 percent from the previous quarter, when it grew a revised 1.7 percent.